Investigative due diligence is a term that is often misunderstood by people. Investigative due diligence typically refers to investigating the character, integrity and reputation of a person or company. This is extremely important in the business world due to the large number of transactions and deals conducted and struck on a daily basis. In a country like the United Kingdom, with a thriving industrial economy, it is even more important to employ the services of a talented team of private investigators experienced in corporate investigations. Many fraudulent individuals and companies have been caught due to investigative due diligence. Corporate due diligence is of a different nature than personal due diligence. They’re often performed prior to a business entering into a merger or acquisition with another organization. These cases can be requested by the entire spectrum of companies: small- to medium-sized businesses, large corporations, private equity firms, or other types of investments. With companies, due diligence can determine the licenses and government compliance checks, the financial history: including assets, bankruptcies, tax court cases and liens, corporate affiliations and even political contributions. Investigative due diligence is basically carried out by performing an in depth analysis of all the records, data and filings of the company being investigated. The first task is the collection of data. This is often given to us by the client who hires us. If not, we can also find it out for ourselves by conducting an investigation. Once this information is received by is, first of all, we verify its accuracy. This is followed by checks for any discrepancies or omissions. We work together with our client and communicate with a lot of individuals outside the company to get a complete picture of the company. We conduct professional corporate interviews and run detailed background checks to ensure the veracity of the details provided in the interview. 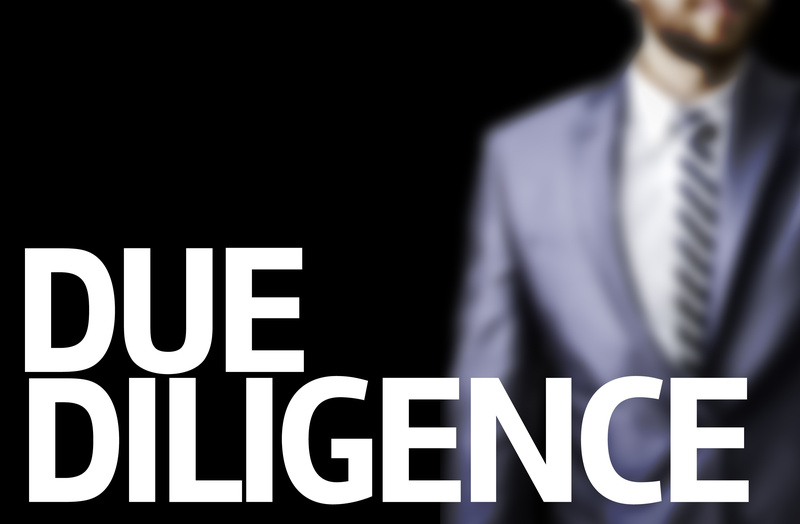 There are many advantages to investigative due diligence for the corporate world. It is a great way to catch any fraud that the company may be trying to hide. It can reveal various things like prior financial troubles that the company has faced. It can cast a light on the company’s business practices and can serve as a measure of how ethical it is. All these factors are very important. Occasionally, investigative due diligence can reveal earlier criminal action that the company may have faced. It can also bring forth unregulated transactions with third parties or any other fraudulent activities the company is involved in. Private Investigators UK has a team of detectives with a vast network throughout the United Kingdom. This makes it easy for us to access a lot of databases and a lot of people with extreme ease. This is essential to the information gathering process which forms the backbone of investigative due diligence. With our expertise developed over more than 25 years, we are definitely the best choice for any investigation. We possess the sensitivity required to cater to corporate investigations and are a top choice among clients.